Detoxing the individual is not only important to help facilitate in proper hormone balance but also to help achieve optimal health. 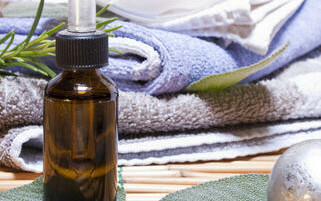 Many times toxins are major obstacles to cure and thus must be removed from the body. This can be accomplished in several ways e.g. following a program of nutritional therapy, herbs, homeopathy, diet, infrared saunas, lymphatic drainage, foot baths, and several other modalities of healing. We absorb, ingest, inhale toxins everyday of our lives! Toxins in the body include heavy metals and various chemicals such as pesticides, pollutants, and food additives. Drugs and alcohol have toxic effects in the body. Living in a stressful environment with heavy demands from home or work life can also have toxic effects on our body. This topic in itself can take up volumes and thus is not covered in this website. Toxins can be excreted from the body by the kidneys (urination), bowels (defecation), skin (sweating), and lungs (exhalation). Ideally, the best way to detox is through the skin as the kidneys nor the liver is being stressed. Detoxification treatments become necessary when the body’s natural detoxification systems become overwhelmed. Many times this is due to unhealthy lifestyle (poor diet, sedentary life, environmental exposure) and living a stressful life. Detoxification is helpful for those patients suffering from many chronic diseases and conditions, for those with conditions that are influenced by environmental factors and for those suffering from allergies or immune system problems. Detoxification can be used as a beneficial preventative measure and as a tool to increase overall health, vitality, and resistance to disease. This is why it is good to have do a detox program at least two times a year. The two ideal times would be after the Holiday Season after retoxing the body with all the great holiday food and Spring time (Spring Cleanse). Detoxification utilizes a wide variety of tests and modalities of treatments. I do heavy metal testing via urine collection, hair analysis and stool analysis. Once that is done, a treatment plan is made to help with detox at the tissue level and also at the intracellular level using what’s called homeopathic drainage remedies. Along with the myriad of treatments out there for detox, it goes without saying that proper diet is vital in assisting the body to get rid of its toxins. It wouldn’t make sense to spend all that time and money on expensive detox treatments only to go to McDonald’s and fully retox the body again! Eliminating allergic and unhealthy foods, and emphasizing foods that assist detoxification and support healing is extremely important in detoxification. Detoxification diets are generally low in fat, high in fiber, and vegetarian. Processed foods, alcohol, and caffeine need to be avoided. Whether you are simply wanting to stay healthy and do a good cleanse or if you’ve been suffering from a chronic condition, Dr Kim Kelly offers many different completely natural Detox programs from his clinic in Encinitas, individually tailored to your needs. Dr. Kelly provides detox programs to patients throughout San Diego. Will I benefit from a Detox?